Public wireless networks may have insufficient security, e.g., they may use an unsecured encryption protocol or a popular name of the network (SSID). 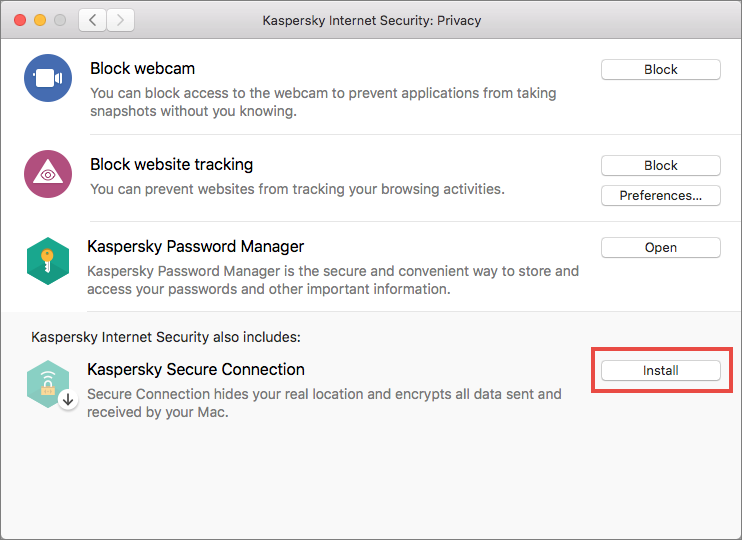 When you connect to a wireless network, Kaspersky Internet Security for Mac checks if it is reliable. 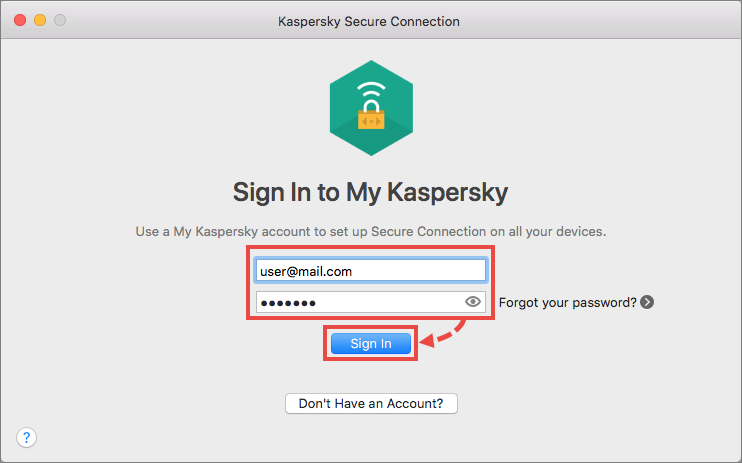 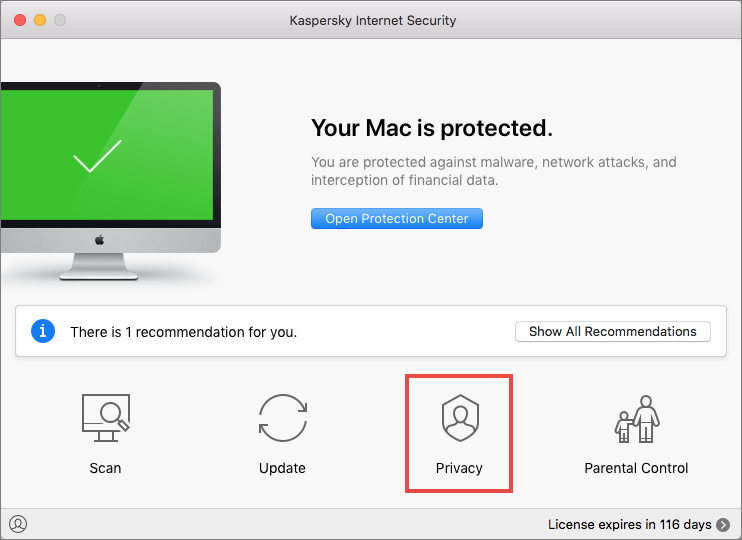 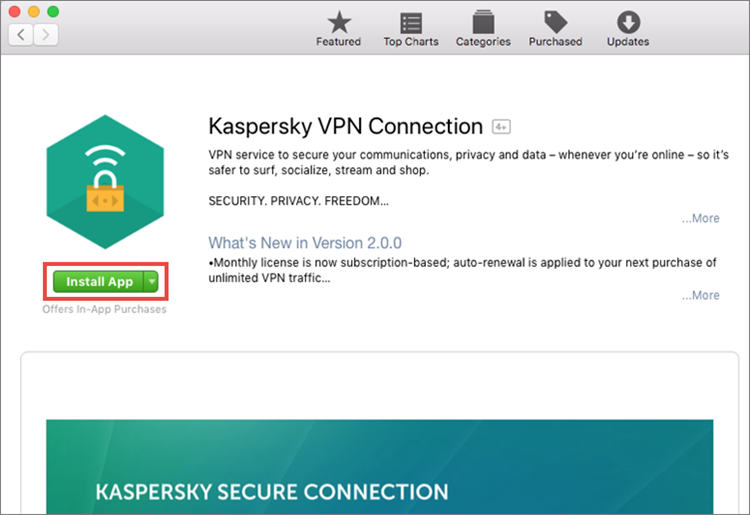 If the network is not secure, it offers you to start using Kaspersky Secure Connection for Mac.